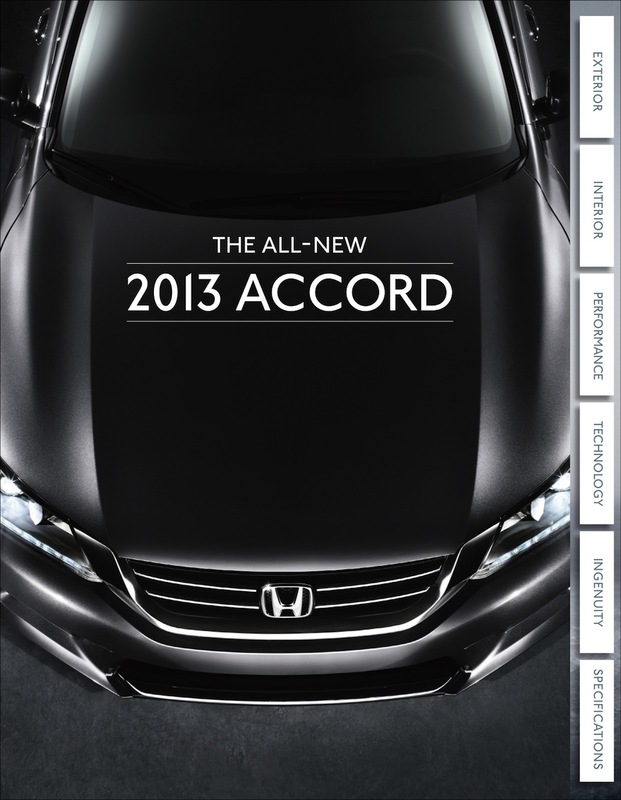 Sales brochure for the 2013 Honda Accord with the 185hp 2.4L 4-cylinder engine. There is an LX, and EX upgrade package along with a Sport Sedan. Some cool options are the Lane Departure Warning, Honda LaneWatch, Forward Collision Warning, moonroof, navigation system, rear spoiler, and leather seats. Exterior colors include Alabaster Silver metallic, Hematite metallic, Basque Red pearl II, Crystal Black pearl, Obsidian Blue pearl, Champagne Frost pearl, Modern Steel metallic, San Marino Red, Still Night pearl, White Orchid pearl, and Tiger Eye pearl.